A southern girl who loves a challenge, Emily Conners is a self-taught type-designer whose foundry has made a big splash in the type industry in a short amount of time. Her foundry, Emily Lime, released its first font on MyFonts in 2011. Since then, the one-woman company has had three typefaces featured in our Rising Stars Newsletters, including hits like Peoni Pro. 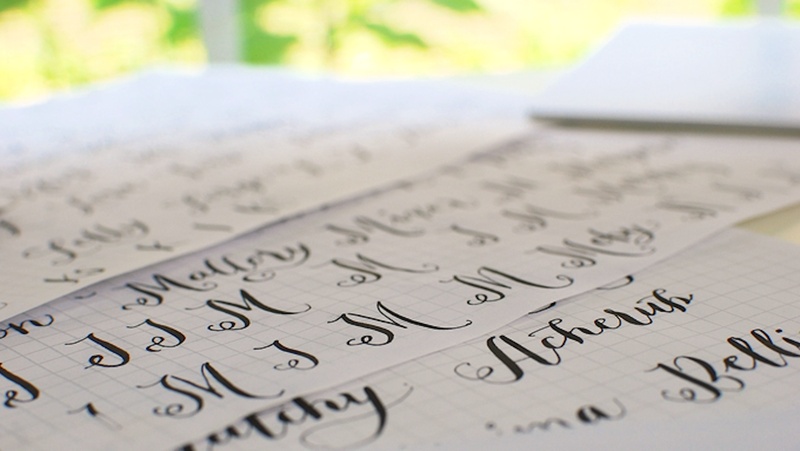 Other fonts of hers that have seen success include Jacques & Gilles and Carolyna Pro Black; both of which have called the Best Sellers list home for over a year. A self-acclaimed “fontaholic” (as she refers to herself in her Creative Characters interview), she has made fonts in a range of styles, but capricious scripts are what she does best. Her typeface Bombshell Pro has proven this. Not only has the typeface reined the Best Sellers list since its debut, but it has also been featured in Rising Stars and was celebrated as one of MyFonts Most Popular Fonts of 2012. The designer says that she typically sees her fonts used on websites, logos, or included in printed items like invitations.